I love to travel, especially in the summer. One of the things I look forward to most on my trips is what audiobook to listen on the long car rides. While listening, you are taken to another destination. Sometimes it is fun to listen to a cozy mystery on the way up to a cabin in the woods, or Chic Lit on a girl’s trip to the beach. I like to match the theme of my trip with my audiobook. 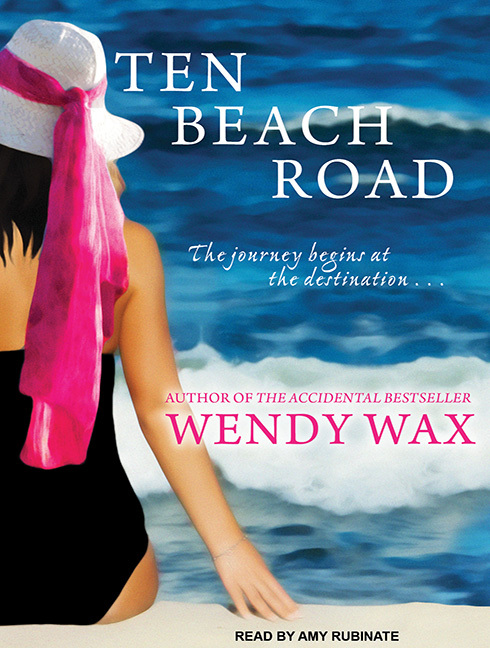 Wendy Wax’s Ten Beach Road series narrated by Amy Rubinate, is on the top of my list this summer. Ten Beach Road, Ocean Beach, and The House on Mermaid Point are perfect summer listens. I am also looking forward to branching out of the series and listen to A Week at the Lake, which is a USA Today bestseller. Library Journal reviewed Ten Beach Road and said, “Wax keeps the plot twists coming and makes this great escape reading, perfect for the beach.” Publishers Weekly said Ocean Beach is “Just the right amount of suspense and drama for a beach [listen].” That sounds like something everyone can enjoy. Where is your favorite place to travel during the summertime, and what audiobooks do you like to bring with you? Tell us and two lucky winners will be selected to win the download of their choice from our Choose Your Escape Summer Listens list! (Territory rights apply to all downloads.) Winners will be selected at random on Monday August 3rd. I live in the Rocky Mountains so I love to travel somewhere completely different. Anywhere warm with a beach is perfect! My favorite summer reads are big, juicy historical fiction books. Hello! Please send me an email at contests@tantor.com and we’ll be sure to get you a free download from our Summer Listens List! We love to go to the local theme parks… I like to bring – AND I do bring whatever I’m currently listening to which is usually a romance, fantasy, science fiction of some type. Thanks for the chance! I love to travel to Ireland and Germany. The last time I traveled to either I listened to A Discocery of Witches and loved it !! !